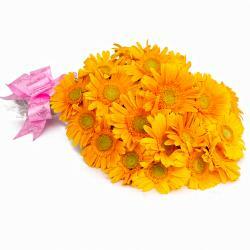 Product Consist : 18 Colorful Gerberas in Cellophane Wrapping with Ribbon Bow on it. 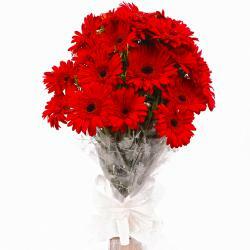 This gift pack will endear itself to you courtesy the amazingly elegant and pristine bunch of eighteen colorful gerberas contained in the same. 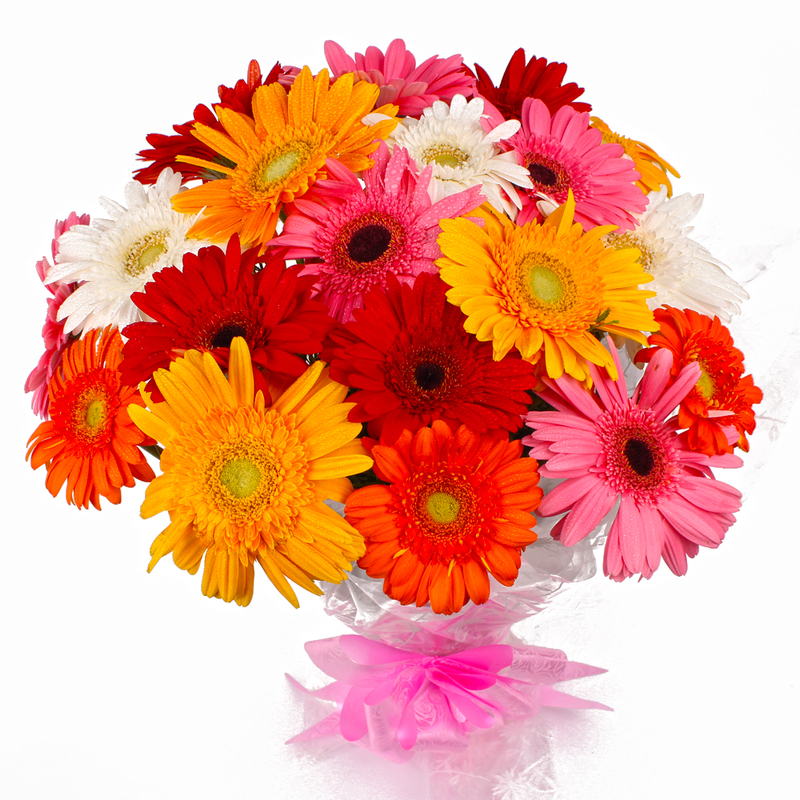 This bunch of graceful eighteen Colorful Gerberas has been lovingly packed in cellophane paper for greater sophistication and also comes with a matching ribbon bow on top for added effect. 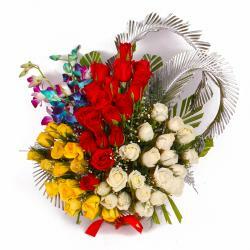 The entire ensemble should definitely make for a nice bet when it comes to special occasions like Birthday, Anniversary, Good Luck Gifts, Gudi Padwa / Ugadi, Daughters Day and Valentines Day and the like. 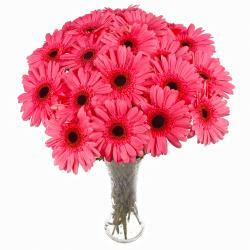 Product contains : Eighteen Colorful Gerberas Hand Bouquet.